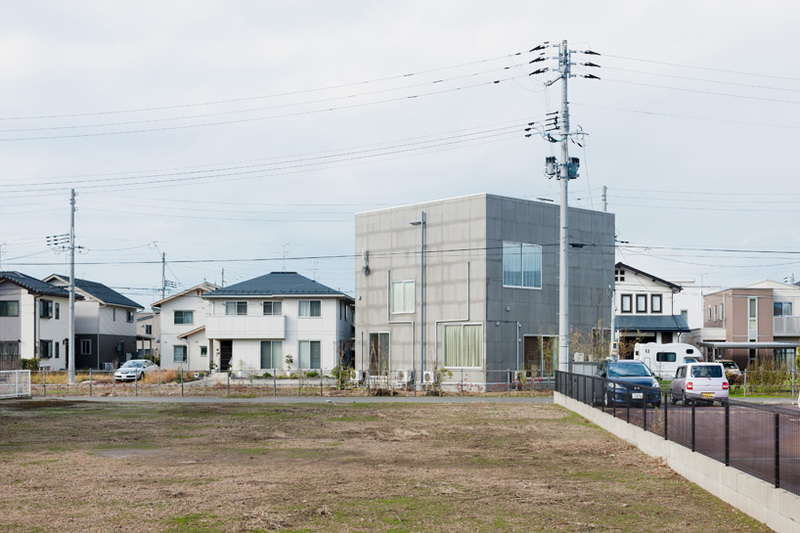 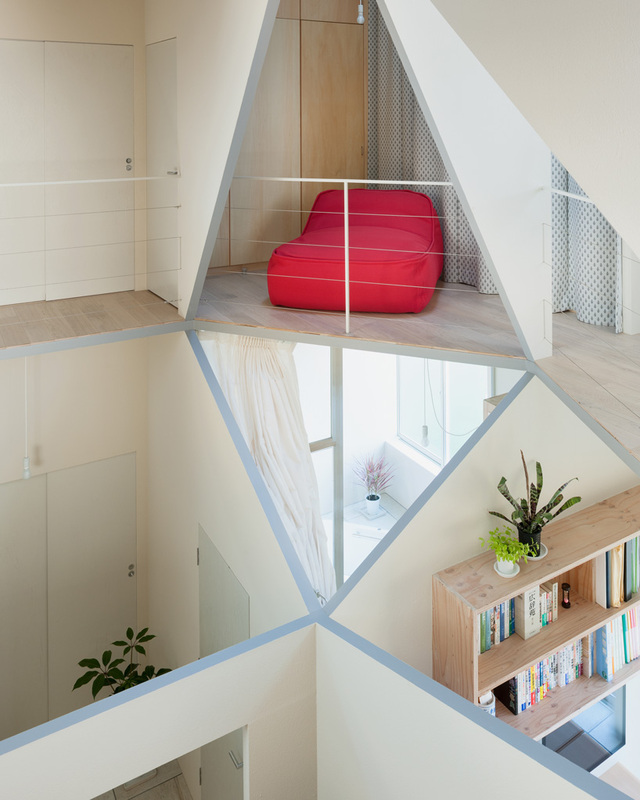 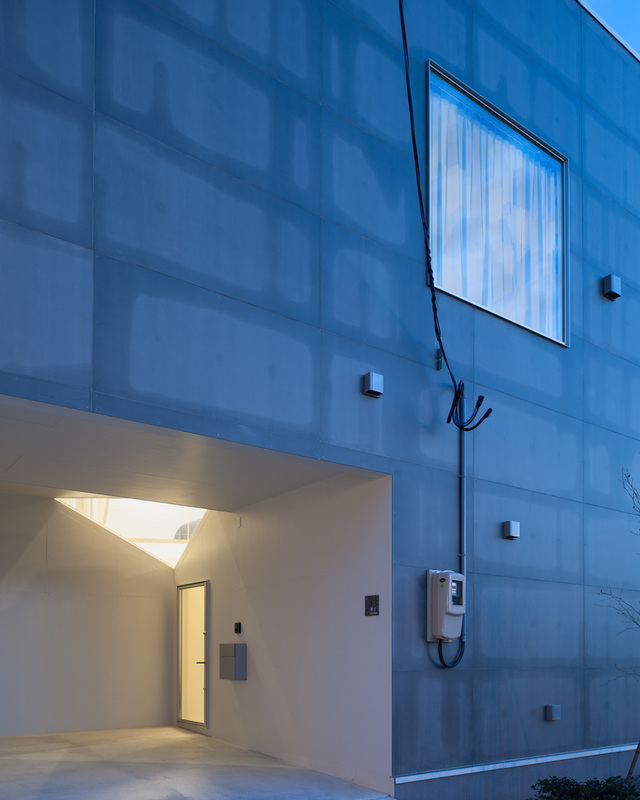 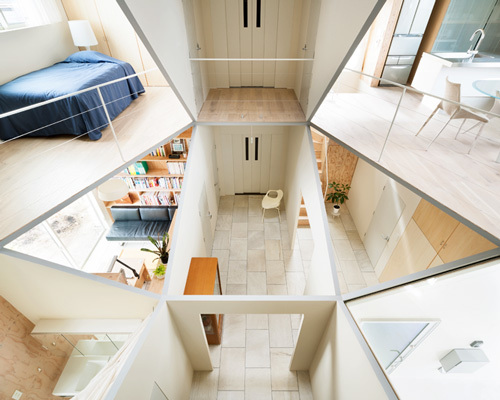 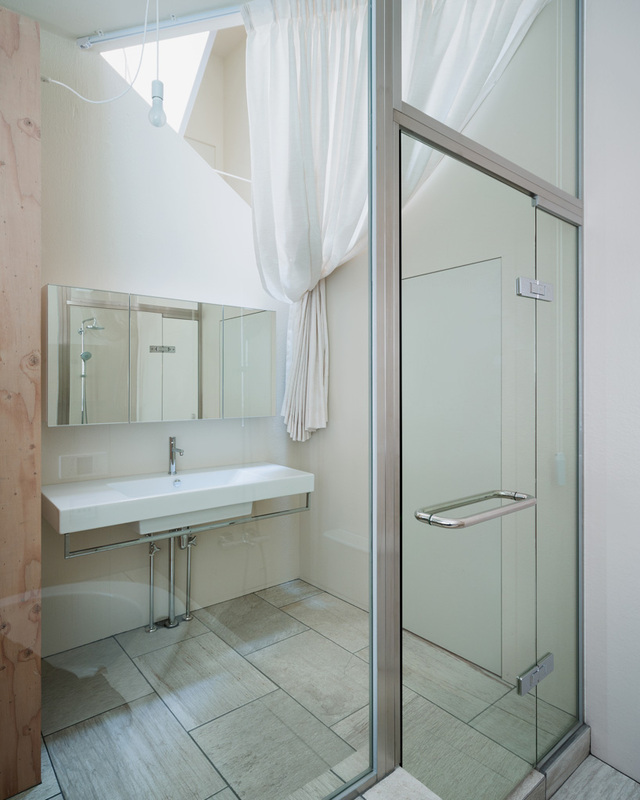 this two-storey home in the japanese prefecture of niigata contains a hexagonal void that serves to visually connect the dwelling’s various rooms. 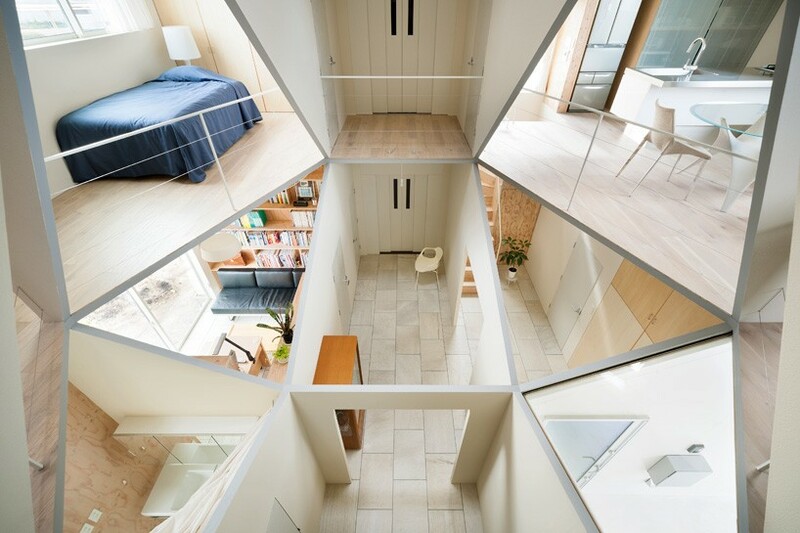 completed by kochi architect’s studio, ‘kame house’ has been built using a wooden structure that allowed the design team to carve a large opening at the heart of the plan. 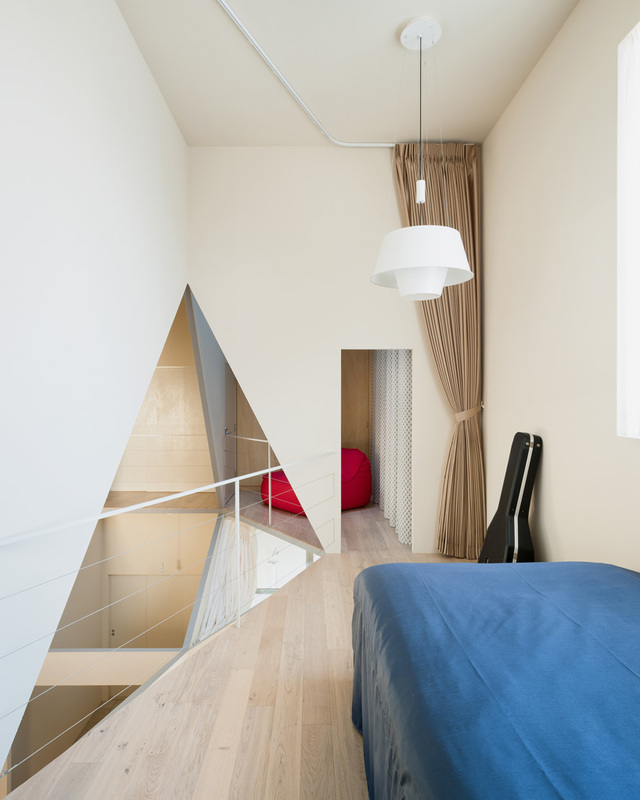 conceived as a ‘patchwork of rooms’, the property’s living accommodation is divided across the two subsequent storeys, with a garage, guest room and bathroom at ground level, and cooking and dining facilities joining the master bedroom above. 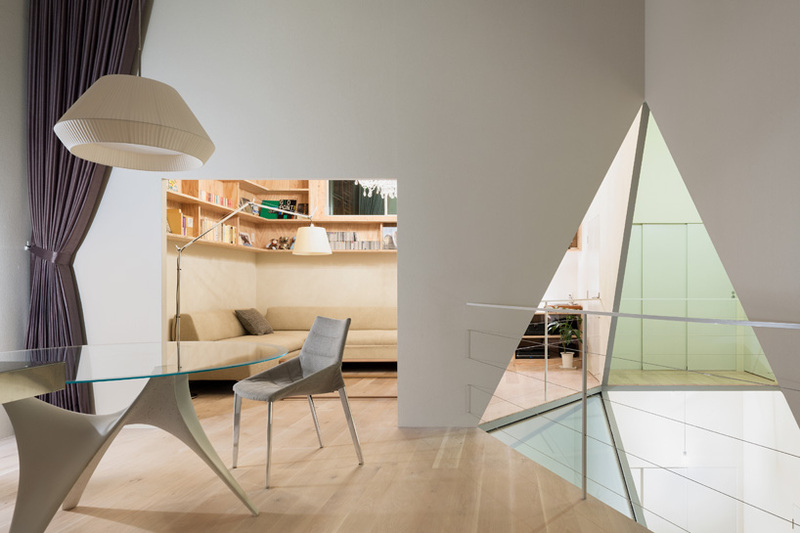 the layout seeks to foster an open and communal way of living, with constant visual connections ensuring that the family are able to maximize the time spent together in the home.